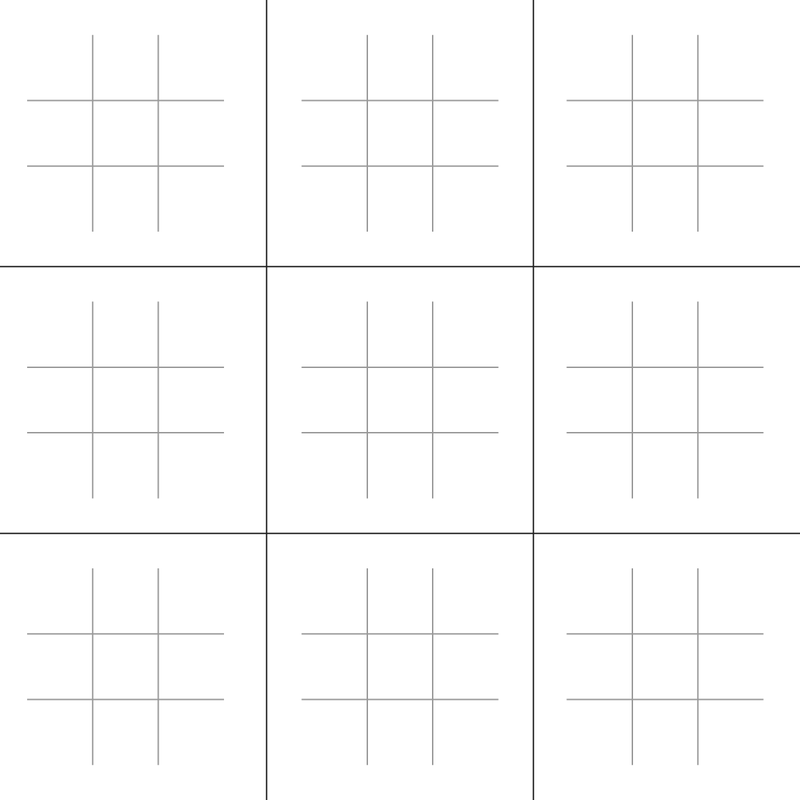 Each of the nine small subgrids is a familiar game of tic-tac-toe. Win the small game in one of those subgrids, and you get to claim it with a big “X” or “O,” which counts as a square in your favor in the larger game. Winning the larger game is your ultimate goal — essentially you want to win three games of tic-tac-toe in the same column, diagonal or row. But here’s the catch: Where your opponent moves dictates where you move, and vice versa. Playing a few games of ultimate tic-tac-toe makes you feel in your very guts what it’s like to be a close watcher of the last two years of news cycles.4 (I’d have to assume it feels like that inside the White House, too.) Ultimate tic-tac-toe is a superbly tidy distillation of the strategy of distraction, delay, misdirection, procrastination and improvisation. This is a game of past and present. While chess offers a singular goal — capture the opponent’s king — ultimate tic-tac-toe offers fluid, shifting goals. The latest happenings (Scott Pruitt) can feel far removed from past events that come back to rear their heads (Stormy Daniels). Ultimate tic-tac-toe is a game of frustration. Good chess players develop a single plan and try to see it through. Ultimate tic-tac-toe players cannot do this. One plan (Infrastructure Week) can quickly go off the rails (Comey). The next plan (Infrastructure Week) can quickly suffer a similar fate (resignation of an aide). Ultimate tic-tac-toe is a game of confusion. In chess, there is but one battlefield. In ultimate tic-tac-toe, there are many, both local and global. Those battlefields interact with each other in weird and complicated ways. The local ones (recurring Twitter fights) bear little immediately obvious relationship to the global one (the welfare of the American people). The net result: Even good ultimate tic-tac-toe play looks haphazard, facile and even plain stupid at first glance. There is no clear or elegant strategy. None of this tic-tac-toe stuff is meant to diminish the complexities or subtleties of the current political moment. Chess is famously complex, of course — there are more possible chess games than atoms in the universe and so on. But ultimate tic-tac-toe is no slouch. To get a very rough upper bound for the number of possible games, we can imagine that there are 81 places the first move can go, then 80 places for the second, then 79, then 78 and so on. That leads us to the number 81!, or roughly 6 followed by 120 zeros.5 That’s incomprehensibly large (and doesn’t even take into consideration the game’s weird and complicated game tree). Even computers struggle to play it well. So is Trump playing his game well or poorly? I have no idea. All I really know is: It ain’t chess. Please craft your takes accordingly. To those who see Trump as a grandmaster, his opponents are inevitably playing a different, less-sophisticated game, like checkers or, once on Fox News, parcheesi. A tied subgame doesn’t count as a win for either player in the larger game. Once a subgame is won, any play that would send the other player to that subgame instead gives that player the right to play wherever she pleases. The only major difference is that the game is actually quite fun. A tighter upper bound might be around (9! )^9 — there are nine squares in a subgame, which gives us 9! different ways a subgame can be played, and we raise that to the power of nine for the total number of subgames. That’s 1 followed by 50 zeros, but, I mean, still huge.